Under the banner of ‘making ever-better cars’, Toyota is constantly rethinking the processes by which its cars are built. It’s a huge undertaking, moving from a system of production that has evolved over decades to a radical new approach for its factories and processes. 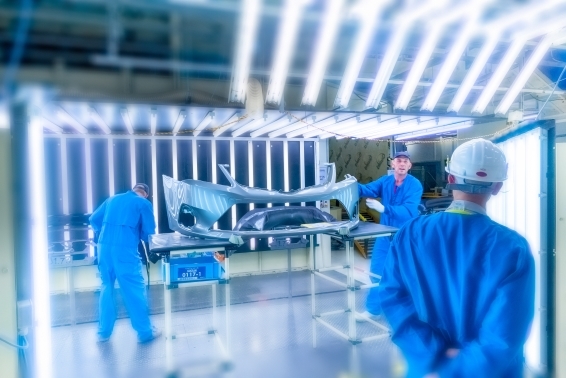 Toyota’s new Production Engineering Technologies are designed to build previously unknown levels of flexibility into the car-making tradition. Factories will be cheaper build, the production line equipment will be less expensive to install and maintain, cars will be made to individual customer specifications and specially-designed limited edition models will be able to be accommodated on the production line. 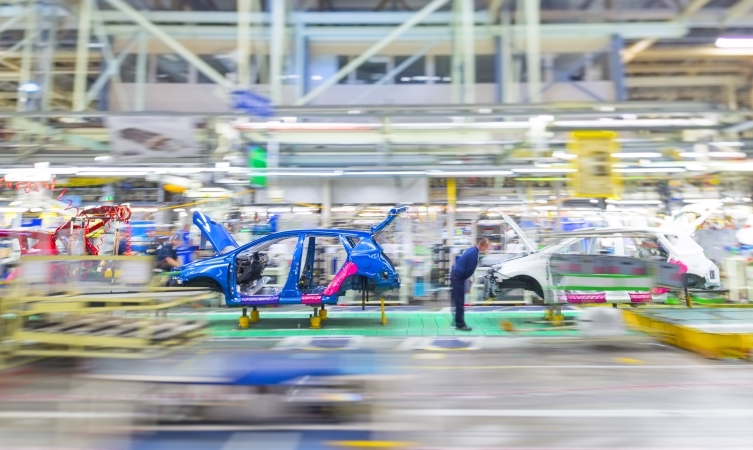 New-generation factories: Traditional car factories tend to be large, heavy-duty structures. They are costly to build, can be expensive to light, heat and power and they need to be working to at least 75 percent capacity to be profitable.They are also usually equipped with a great deal of expensive production equipment, which has to be maintained and has to be used for a decade at least.The new-generation factories designed as part of the TNGA (Toyota New Global Architecture) programme will be simple single-storey structures. They will be cheaper to build and power. The lack of overhead production equipment means that natural light will be allowed to flood into the production area. 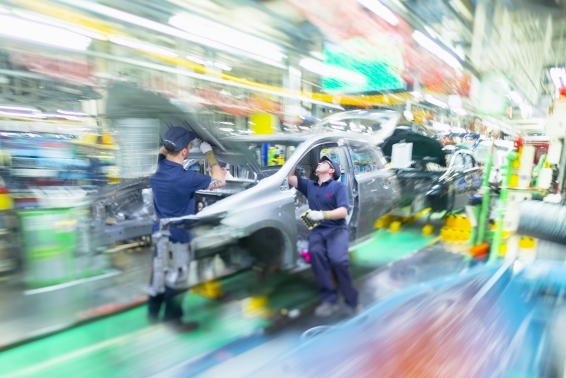 Re-invented production line: Toyota engineers have also re-imagined the production line. 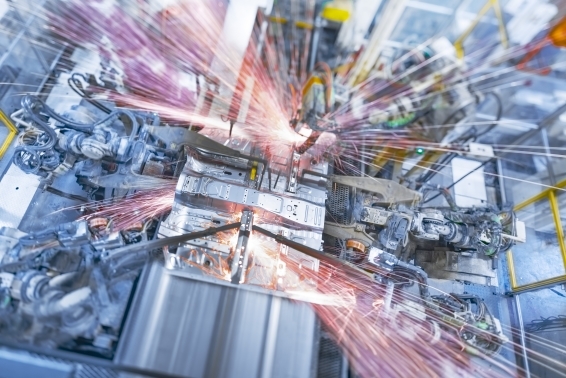 Building on the principles of the world famous Toyota Production System, car factories of the future will be far easier to modify to meet the demands of new trends or technologies. Rather than a conventional conveyor belt that is mounted in a pit, Toyota’s new conveyor belt sits on the surface of the factory floor and is made in sections. This allows the belt to be made longer or shorter, simply by adding or removing sections of conveyor belt. New production equipment: In tandem with the scalable production line, the new production equipment will be mounted on rollers, rather than being bolted to the floor. This means the equipment can be easily moved if the length of the production line changes. This functionality will be particularly valuable when it comes to introducing new features into cars. Want to add options like a glass roof or new drive train? No problem! In future Toyota will be able to roll a production module into place to do just that. Redesigned paint booths: Toyota has also completely re-thought the traditional paint lines. Currently a paint booth capable of painting 50,000 cars per year is a huge 10m high and 187m long. Toyota’s new design is just 6.5m and 149m long and uses a clever double-cyclone system to trap waste materials. Not only will new booths be cleaner – both for quality, and the environment – but Toyota’s new Production Engineering Technologies for ‘making ever-better cars’ are designed to re-imagine the traditional production line and build previously unknown levels of flexibility into the car-making tradition. Laser Screw Welding: Laser Screw Welding (LSW) is a new technique that will eventually replaced traditional spot welding. While each spot weld takes between 2 and 2.5 seconds to complete, Laser Screw Welding takes between 0.3 and 1 seconds. Even more remarkably, LSW can weld both aluminium and steel. Slush-moulded dashboards: Slush-moulded dashboards have the highest perceived quality, but they are expensive to produce. Toyota’s engineers have come up with a new ‘simple and slim’ compact moulding machine that’s 60 percent smaller, uses 30 percent less energy and reduces costs by 20 percent. One-at-a-time bumper production: A new moulding machine allows the moulding tools to be changed so quickly that bumpers can be made to order, depending on which particular models are coming the down the line. Heat recovery system: Toyota has developed a new magnesium-based chemical storage system, which collects and stores waste heat for future use. Company engineers say that the CO2 from burning gas at the factory will be reduced by 15 percent. Recycling batteries: Recycled batteries from Toyota hybrid vehicles will be used to act as electricity storage, offering between 1 and 10 percent reduction in energy costs and can be used as back-up power in an emergency.